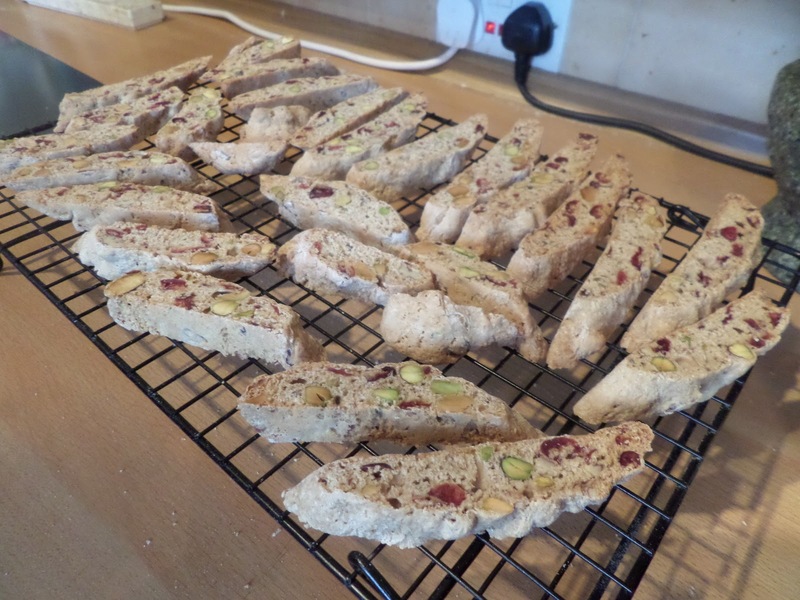 Biscotti are one of my favourite xmas biscuits. They have the right spices, fruit and nuts for the season, have a nice savoury edge to cut through all the chocolates, can be eaten in a civilised manner with a cup of coffee before you break the booze out… and most of all you can make them days in advance and they keep really well! I decided this year to try making a sourdough version. Looking at my previous recipe I could see this was going to be a challenge as the only liquid in them were three eggs. 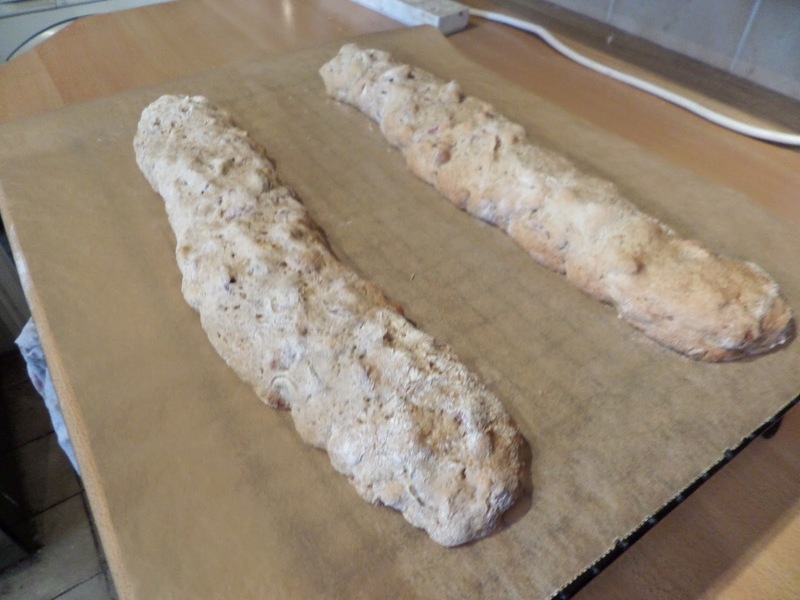 Looking at various sourdough biscotti recipes online (eg Wild Yeast and Korena in the Kitchen) I see they’re all using 50% hydration starters, which has a lot less liquid than my 100% hydration starter. 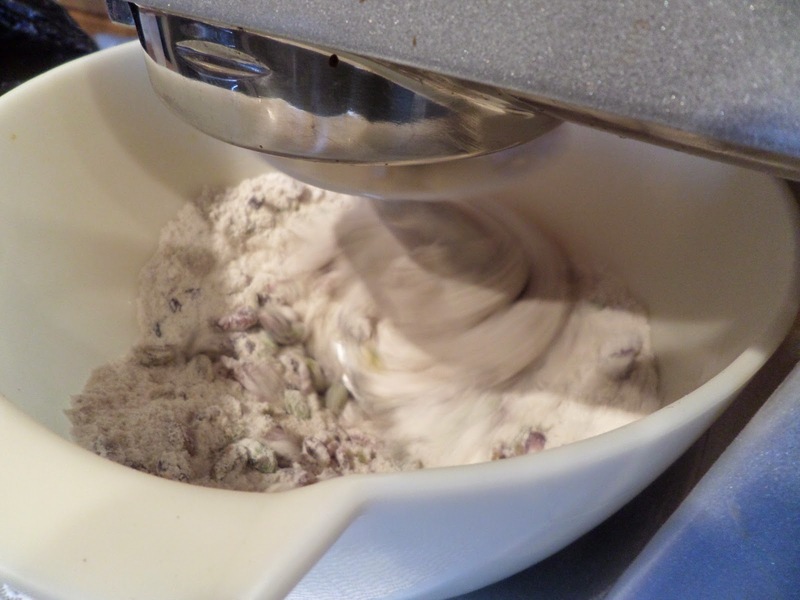 This all gets mixed together in the stand mixer, which as before starts out looking impossibly dry… then ends up being a really sticky dough. This then sat around for about an hour while I started a couple of sourdoughs off. 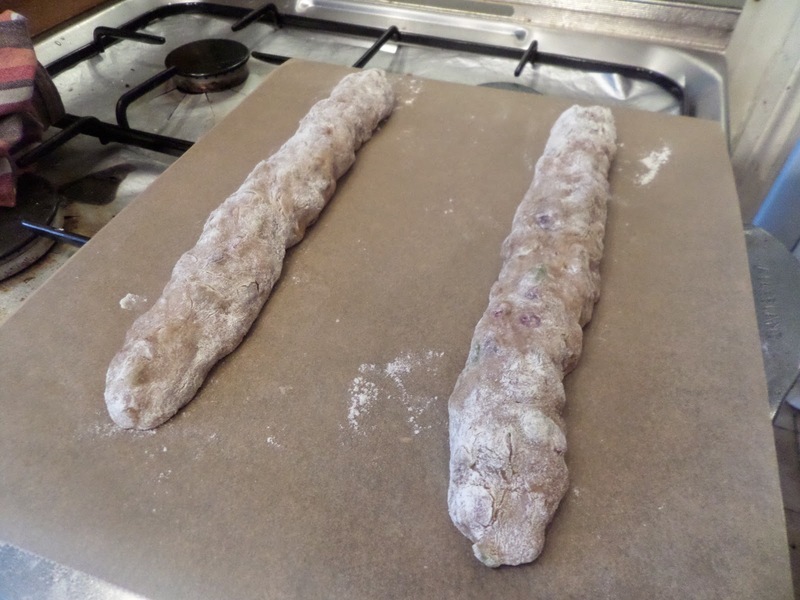 Then it got divided into four and rolled out into long sausages on baking sheets. These sat around some more while I attended to the sourdoughs again before getting baked at 160C fan for 25 minutes. These then come out and cool a bit on a rack while the oven goes down to 140C fan. 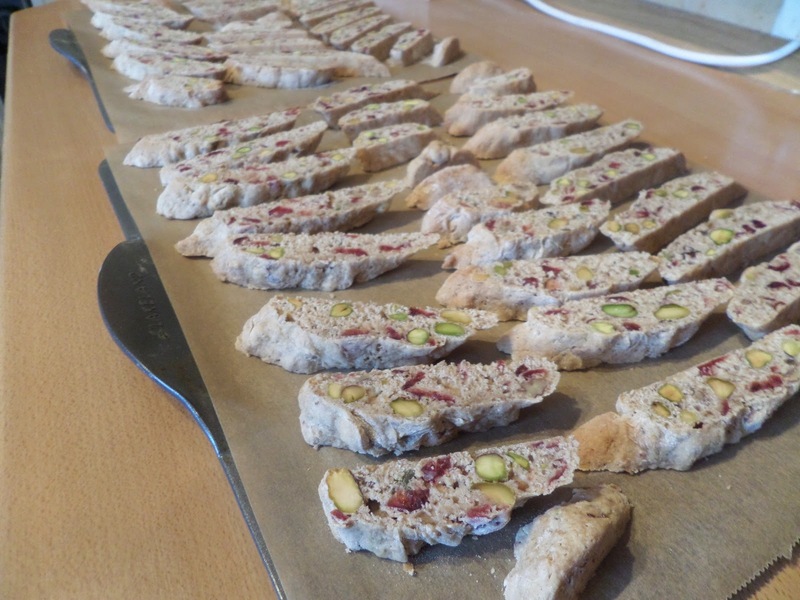 Once the loaves are cool enough to hold they get cut on the bias to form the biscotti shapes. These go back in the oven at 140C for 15 minutes, then they all get flipped over before the final 15 minutes. Then they cool on the rack to finish drying out. They smell great, and I’ll probably have a taste later, but most of them are supposed to be shared with the family over the coming week!